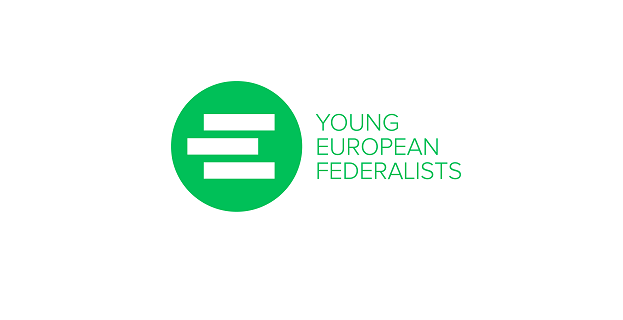 The Union of European Federalists (UEF) is looking for a Communication Officer (paid internship) to be based in its European Secretariat in Brussels. The Union of European Federalists is a non-governmental pan-European organisation, dedicated to the promotion of closer European integration and a democratic and federal Europe. The UEF was founded in 1946 and today is active in over 24 European countries. We organise campaigns, debates, seminars, grass-root actions and other events across Europe on key European issues and federalism. We dialogue with European institutions and national policy-makers to promote a united and federal Europe. You can find more information on our organisation, policies and activities on our websites www.federalists.eu, as well as on our campaign-specific websites www.marchforeurope2017.eu and www.towardsfederaleurope.eu. You will be responsible for managing all the communication channels of the European Secretariat, reflecting the communication strategy and political priorities of the organisation and ensuring consistency across channels and projects. You will managing the organisation’s social media channels (Facebook, Twitter, Instagram and Youtube), including their monitoring, managing, content creation, analysis and growth. You will ensure updates and continuous improvement of the organisation’s websites, creating textual and visual content, when necessary in liaison with developers and web-designers. You will support the development and circulation of internal and external communication material (press releases, newsletters, presentations, publications, brochures). You will support the development of communication material for projects, events and campaigns. You will cooperate with external providers (such as designers and publishers) as required by your project. You are a passionate believer in European integration and familiar with current European issues. You are creative and full of ideas on how to communicate Europe. You have a degree in communication, journalism or similar or otherwise have a proven comparable voluntary experience in the field of communication. You had already at least one internship in the field of Communications or Public Relations, preferably in an international association or NGO, a Brussels-based consultancy, media outlet or other EU circles. You are IT savvy. Proficiency in MS Office, Photoshop and web content management systems is a must. Experience in InDesign and any photo/video editing software is a plus. You have some practical experience in supporting events organisation and public relations. You are fluent in written and spoken English and preferably in French. Any additional language (particularly German and Italian would be an asset). You are able to write and communicate effectively in different contexts. An interesting and challenging work experience in a major pan-European Brussels-based civil society organisation. The opportunity to gain strong hands-on knowledge and expertise on Communications working on events and campaigns on European issues. Exposure to a wide range of contacts in European circles. A Belgian contract “Convention d’immersion professionnelle” (see more information at: www.emploi.belgique.be/defaultTab.aspx), with regular enrolment in the Belgian social security system (ONSS). A contract for a period of 6 months, with possibility of renewal for 6 additional months depending on your performance and approval by Brussels Formation (www.bruxellesformation.be). A compensation package of a total value of ca 1000 euros / month (including salary, cash allowances and lunch vouchers). Our best efforts to comply with the European Charter for Quality Internships and Apprenticeships (see www.qualityinternships.eu). The position is a full time position, 5 day a week. Occasional work on evenings and weekends is compensated with subsequent time off. Occasional travelling is required for events outside Brussels. Deadline for applications: 20 October 2018. Interviews will be held in the subsequent 1-2 weeks, Particularly interesting candidates may be invited for an interview and may be selected prior to the deadline, so you are advised to apply early.